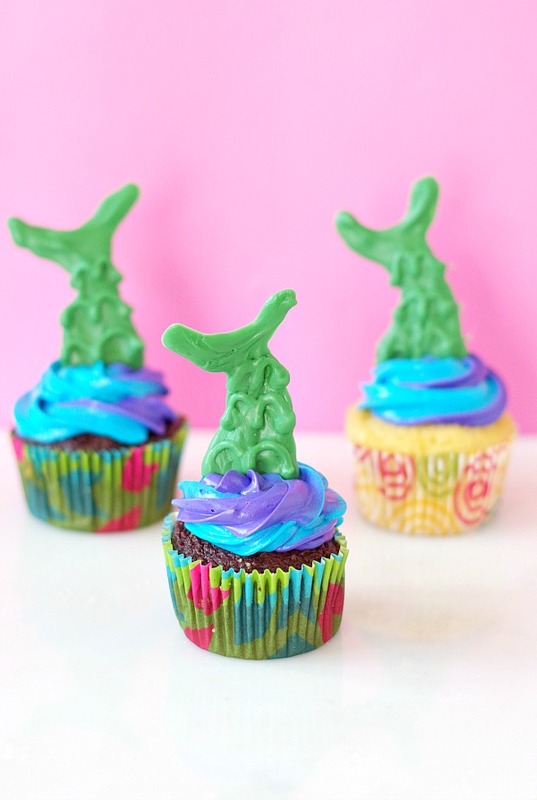 The mermaids are diving right into summer! 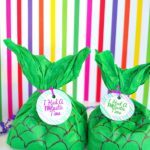 Tis the time of year for mermaid parties and mermaid treats. 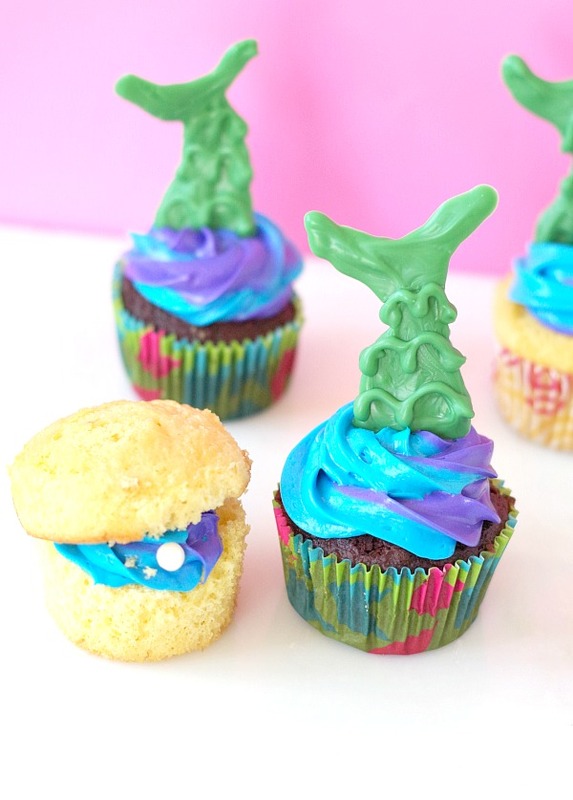 I predict that mermaids are going to take off this summer and take over for the unicorns. 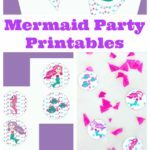 Summer is just their time of year and what little or big kid(I’m talking about myself) doesn’t love mermaids. 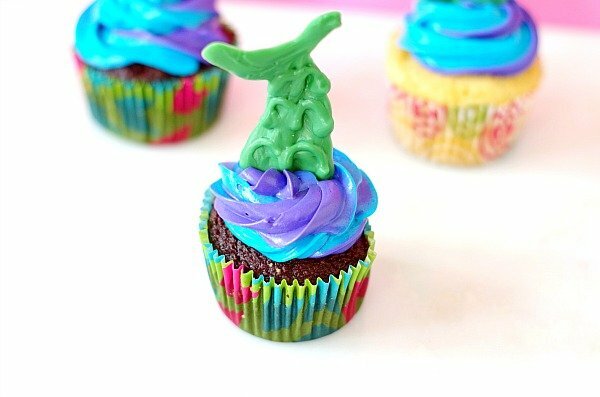 When I was young I wanted to be a mermaid. I was convinced I would turn into a mermaid at some point from all of the swimming and pretending to be a mermaid I did. Sadly that never happened. 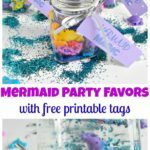 However, now I have a daughter who loves mermaids almost as much as I did. She likes to sleep with her mermaid tail blanket on. 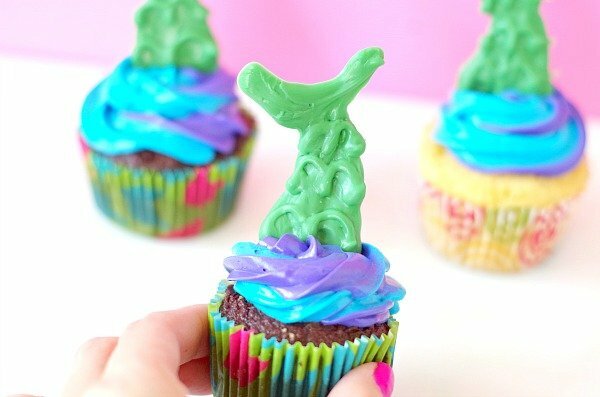 These mermaid tail cupcakes are perfect for the mermaid celebration or just for fun. Lets dive right in! 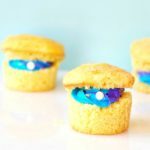 Frost cupcakes with blue or blue and green or purple frosting. 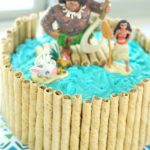 Line toothpicks up on a baking sheet lined with parchment paper. 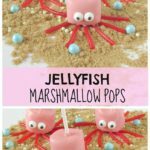 Cover the top of the toothpick with melted green candy melts in a candy making bottle. Make it into a half oval shape with a slight squiggle. Then make a cresent shape over the top. Let it dry for 2 minutes. Make 3 lower case m shapes over the top for scales. 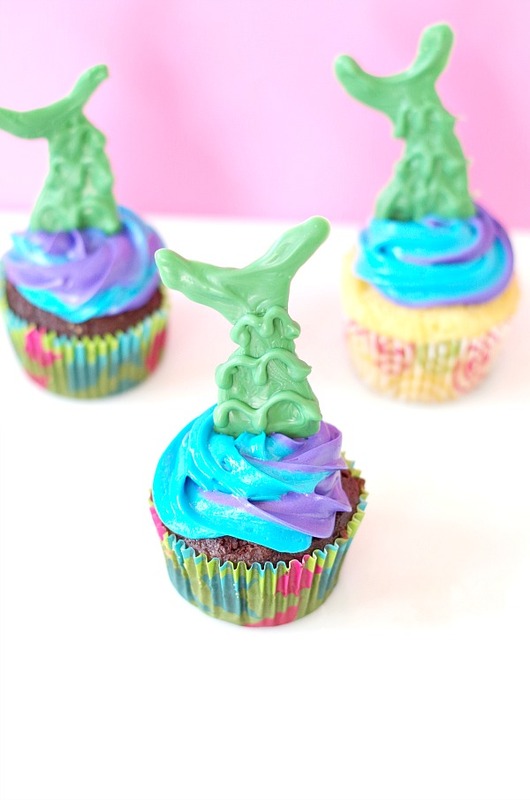 These mermaid tail cupcakes are fintastic for any of the mermaid fans out there!